...helping change lives and communities for the better. 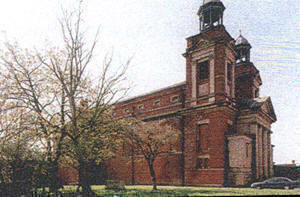 St. Augustine's New Avenham Centre, Preston. We were originally commissioned in 1998 by the RC Diocese of Lancaster to carry out a Feasibility Study into the options for a redundant Grade 2* listed church, St. Augustine’s of Canterbury in Avenham, Preston. The Church had be closed since the 1980’s and had previously been the subject of a number of unsuccessful attempts to find an alternative use for the building and/or the site. In 1999 we were appointed as Project Co-ordinators to prepare the Business Plan, secure planning permission for demolition, and then realise the scheme. 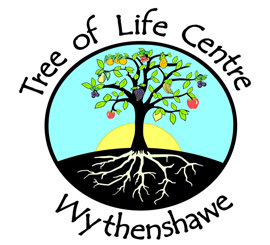 Over the next six years we raised the £5.3million needed to build the Centre. The building was completed in 2005 and formally opened in Summer 2006. Clarendon Street Mosque Community Centre, Preston We worked with Community Technical Aid Lancashire to produce a Feasibility Study for a community centre to be sited within the boundaries of the Clarendon Street Mosque in Preston. The study looked at both conversion and new build options for the Centre, and we produced a Business Plan appraisal of all the physical options. ELAC Centre, Burnley Chris Bailey of PSC, working with residents in the Barclayhills, Griffin and Holmestrand areas of Burnley, initiated and developed an Education, Learning and Activity Centre (ELA) to support the needs of households in some of the most deprived areas in the North West. The project was supported by Burnley and Padiham Community Housing, who agreed to lease two adjacent houses to accommodate the project. ELAC offers a range of support services including breakfast clubs, homework clubs and a range of leisure services in term and vacation time. Chris developed the project, wrote the Business Plan, and raised over £80,000 to deliver it. 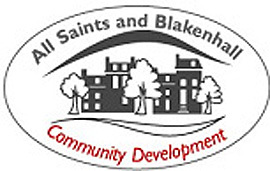 Commissioned by All Saints and Blakenhall Community Development (a New Deal for Communities project), we have worked to explore the options for a proposed new neighbourhood centre in the ABCD area. This involved evaluating options, which ranged from linking a new centre to a newly developed ‘extended’ primary school in the area, to a totally stand-alone building on a separate site. We prepared a business plan which assessed the viability of each option, and as part of the project, worked closely with local community groups to establish both need and demand for the centre. We also prepared a full income and expenditure budget and a supporting activity schedule. RoFTRA (Rochdale Federation of Tenants and Residents Associations) is a major community and voluntary sector organisation run by a voluntary Board of Management drawn entirely from Rochdale Council tenants. It employs over 22 staff and in 2006/7 had an annual turnover of £1million. PSC has been employed by RoFTRA since 2003 on a variety of training and support projects and in 2004 we were asked to prepare the 2004-2007 Strategic Plan. We have prepared a detailed Options Appraisal Report to assist SAMM, a small but thriving national charity, to assess its future options for the operation and management of the organisation and to help Trustees decide between the location of their central office in London or to relocate to Birmingham.